This class is all fun! Spend the afternoon with your child using pens, pencils, paint, and more to begin a canvas and then after a certain amount of time you will switch with your child/parent. We will keep switching until you feel that your canvas is finished. You will take home two completed canvases. Make sure your child knows that this is a COLLABORATION class. Total Cost Per group -$65 (this includes all materials. 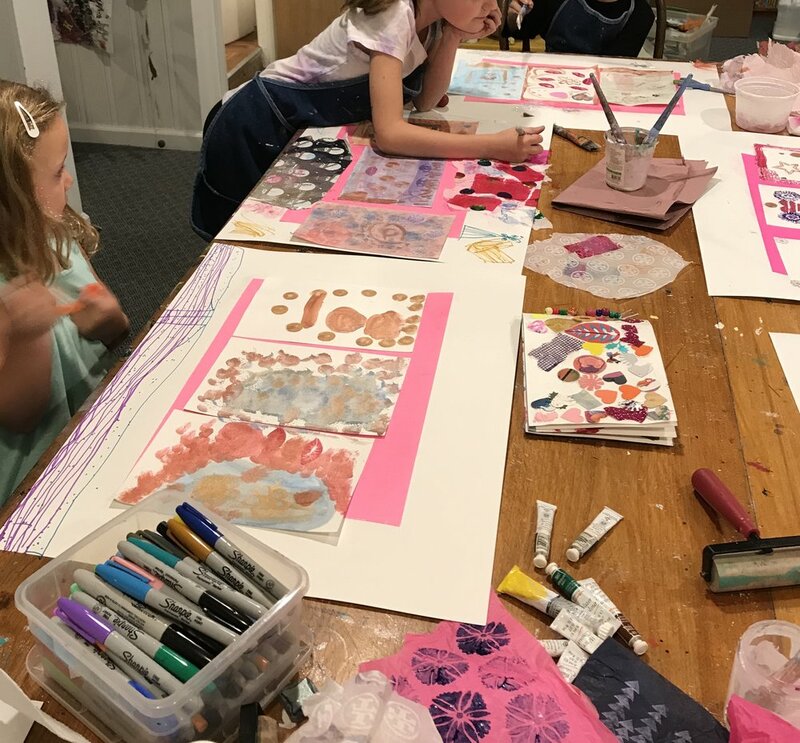 These classes focus on drawing and painting with a little mixed media. We explore a range of materials and tools used in an artist's studio. The young artists will learn about different techniques that are used to achieve a masterpiece. The teaching of line, shape, form, and the work of other artists will be mixed in. Most importantly, the focus is FUN. All levels are welcome. Please contact me with questions or if you would like to sign a your child up. The classes are held in my basement studio. 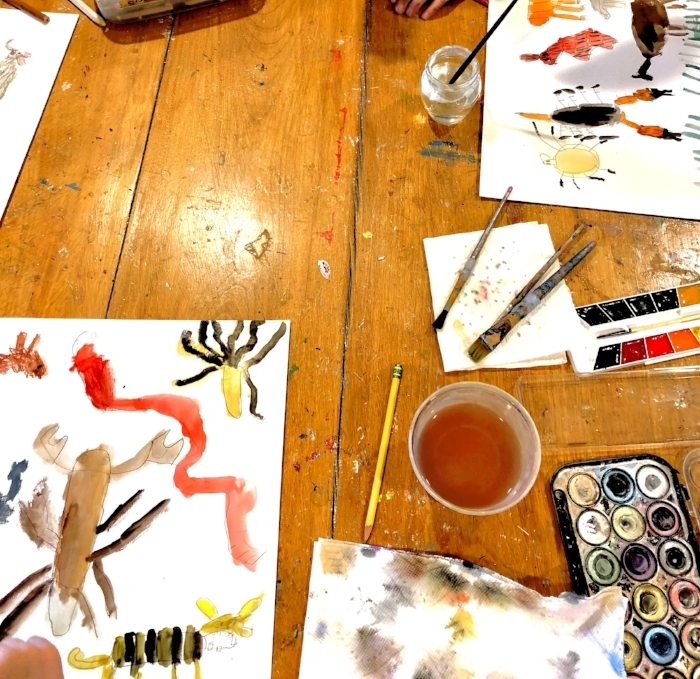 Let your child create art in an artists studio! Your child will work with a various group of media to learn and discover new techniques and ways to use paint and drawing tools. We might paint with watercolors, collage with a glue stick, practice making holes with a hole punch, and many other fun activities. The bonus is you can go home to a clean house (depending on how you left it of course!). Parents are welcome to stay.